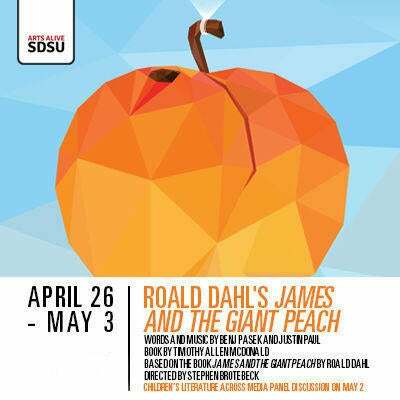 Adapted from Roald Dahl’s beloved novel, Roald Dahl’s James and the Giant Peach is the fantastical tale of a boy, his insect friends, and their amazing journey across the ocean on a giant piece of fruit. With music and lyrics by the Oscar and Tony award-winning writing team of Benj Pasek and Justin Paul (The Greatest Showman, La La Land, and Dear Evan Hansen), this spectacular musical adaptation will delight and entertain audiences of all ages. We welcome children ages 4 and up for this Theatre for Young Audiences production.